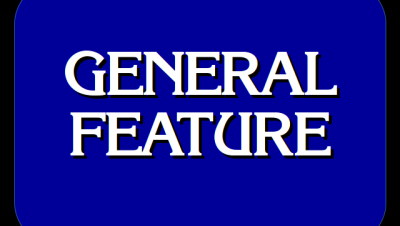 A Streak Of Futility: Consecutive Games With The Leader Missing Final Jeopardy! One thing that we’ve been tracking recently is quite an unfortunate streak of futility. 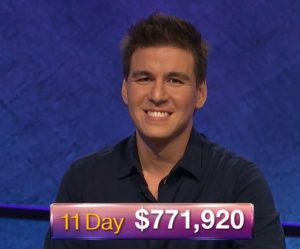 We are currently at 13 consecutive games where the leader has not gotten Final Jeopardy! correct (as of January 12, 2017). Which got me to wondering: Is it a record? Thanks to user cheezguyty on JBoard, we have an answer — the current streak is not a record! The record, as best we can tell, stretches to 16 regular-play games, from October 24 to November 28, 2002! It’s a streak that bookends a College Championship and the switch to a new set! (As it turns out, the first four games of that year’s College Championship also fits, so both the consecutive-game and regular-play records appear to be 16). Longtime Jeopardy! fans would know that the POLITICIANS Final is the game which spawned the naming of the famous Faith Love Scenario from wagering strategy. Correct response: What is (1 of) Liberia or Ethiopia? THE CALENDAR: What is 11-19-1999? U.S. PRESIDENTS: Who are (1 of) Teddy Roosevelt, Martin Van Buren, and Millard Fillmore? POLITICIANS: Who is Dennis Hastert? POTENT POTABLES: What is Pabst Blue Ribbon? STATE CAPITALS: What is Austin, Texas? HISTORIC BOOKS: What is the King James Bible? AUTHORS: Who is Margaret Mitchell? FAMOUS PHRASES: What is “The Shot Heard ‘Round The World”? OFFICIAL LANGUAGES: What is French? BUSINESS GEOGRAPHY: What is Arkansas? HISTORIC CONGRESSMEN: What is an aircraft carrier? CABLE TELEVISION: What is ESPN? NOTABLE NAMES: Who is William Shakespeare? DOUBLE MEANINGS: What is primate? NATURAL WONDERS: What is the Grand Canyon? HISTORIC PHRASES: What is “Remember The Alamo”?